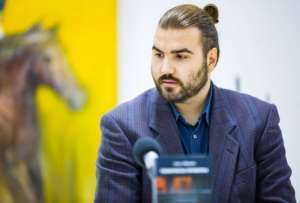 Angel Ivanov, aged 30, has worked as a journalist and TV screen writer. He is also a devoted traveler who has walked the whole distance of the Black-sea coast of his motherland Bulgaria and visited the holy lands in Israel; as a humble Eastern-Orthodox Christian Angel has toured several times the famous Athos peninsula in Greece and hitchhiked round Europe and Asia as well. Angel Ivanov’s first book of short stories Technical drill, issued by the Bulgarian “Scalino” publishing house at the end of 2018, is an impressive volume of texts written in the course of the last 12 years. There this abled story teller has intertwined skillfully the Christian adventures with the impressions of a both amusing and equally deep modern young man from Bulgaria. Ангел Иванов е на 30 години, работил е като журналист и телевизионен сценарист. Също така запален пътешественик, извървял пеша цялото разстояние по черноморския бряг на родната си България; посетил светите земи в Израел; като смирен православен мирянин обиколил няколко пъти известния полуостров Атон в Гърция; пътувал на автостоп из Европа и Азия. Дебютната му книга с разкази Technical Drill, издадена в края на 2018 от българското издателство Scalino e впечатляващ по обем сборник с текстове писани в последните 12 години, в които този умел разказвач вещо преплита християнските приключения и впечатления на един колкото забавен, толкова и дълбок съвременен млад човек от България. Emilia Mirazchiyska (1972) lives and works in her hometown Sofia, Bulgaria. 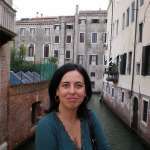 She is the editor in-chef of Scalino publishing house which has in its catalogue two anthologies, compiled and edited by her: “Materinità possibili “(Italian edition – October 2011, Bulgarian edition – April 2011, coeditor Rayna Castoldi) and an anthology of short stories “Saluti a Dickens”, 2012. The latter has an English version too – “Greetings to Dickens” (15 Christmas Stories) with authors of eight nationalities: David Albahari (Kossovo, Canada), Iana Boukova (Bulgaria, Grееce), Soledad Cordero (Spain), Denitsa Dilova (Bulgaria), Sara Ferraglia (Italy), Ivan P. Hall (U.S.A.), Noémi Kiss (Hungary), Lyubov Kroneva (Bulgaria), Stoyan Nenov (Bulgaria), Dimitris Nolas (Greece), Gloriana Orlando (Italy), Alessandra Porcu (Italy), Milen Ruskov (Bulgaria), Zsuzsa Takács (Hungary) and Reynol Perez Vazquez (Mexico). She translates poetry from Bulgarian into Italian and from Italian into Bulgarian. Her professional aspirations in translating poetry broaden every month and scope other languages as well.